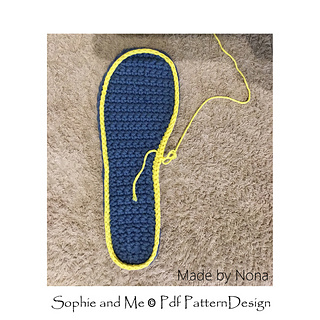 Crochet soles joined to the bottom of your slippers, will extend their lifetime, protect them from wear and tear, dirt and dust, make them sturdy, warm, and wonderful to walk and wear! 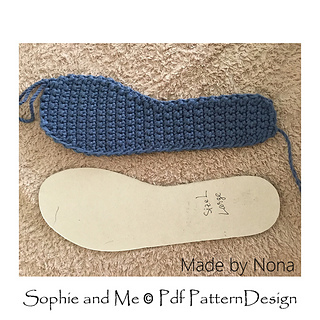 Any Size Customized Crochet Sole Method. For people with feet beyond any standard size and shape! Or just be course you like to work free style. 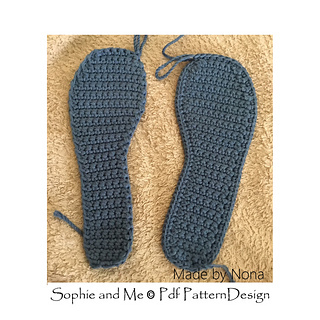 Or make soles for baby or toddler feet, or any other reason. OPTION 1: Describes the method for how to work soles in ANY size and shape, infant to giant-feet. OPTION 2: Included in the tutorial is instructions for 4 standard adult sizes, with full stitch diagrams. 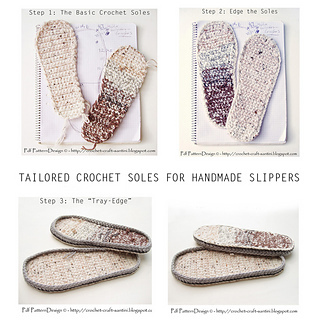 Short version: Out-Soles for Slippers in 4 standard sizes with stitch diagrams. * No additional info like in this Any Size Tutorial, see the topics below. See all the available outsole methods in COLLECTION OUTSOLES. 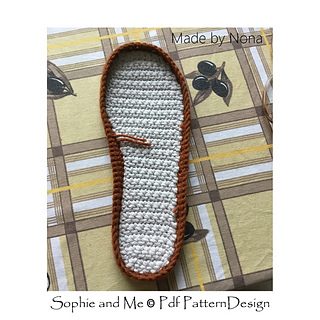 All slipper-photos on this page, have the Crochet Soles joined to the bottom. 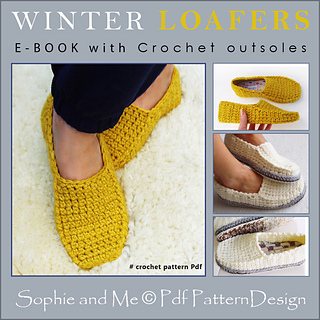 13 pages written instructions, stitch diagrams, and step-by-step photos. 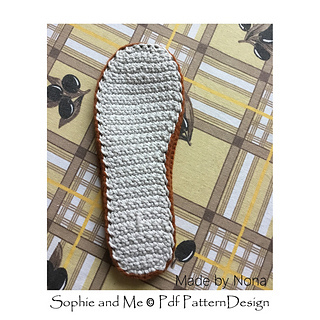 How to use a template for customized soles. 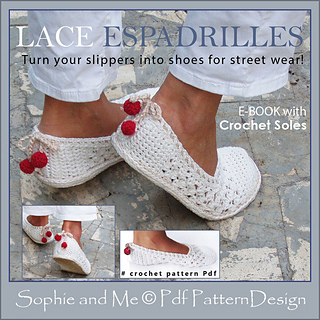 How to join soles to slippers. 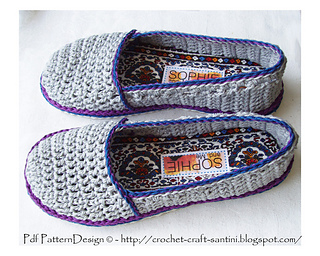 How to protect the crochet soles. How to turn slippers into shoes for street wear. Stitch diagram for 4 standard sizes. TWINE, NATURAL FIBERS: Hemp, jute, bast or flax (linen). offices, or online; search for twine>craft>supply. Twine balls are rarely labeled with a brand name. NORMAL YARN: Cotton/mix, linen/mix, polyester/acrylic/mix. AMOUNT: 75-100 g (2.5-3.5 oz), depending on sole size. 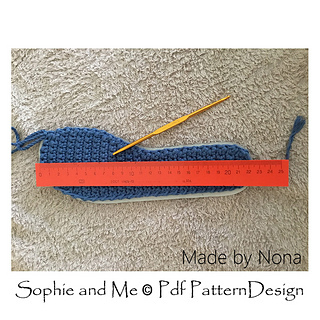 Following the ANY SIZE method, hook, gauge and yarn weight is not important. MATERIALS for the 4 standard sizes. EU 4.5 mm (US E/4 or G/6). Child size about US 1-4 - EU 32-36. 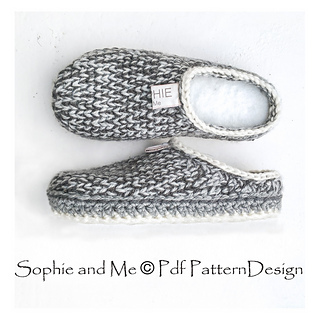 I provide customer support for my patterns, and welcome any questions you might have. 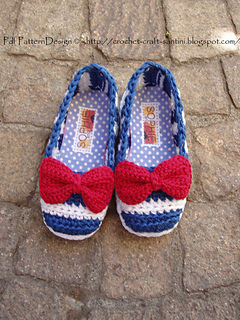 You are free to sell the finished product made from this pattern!